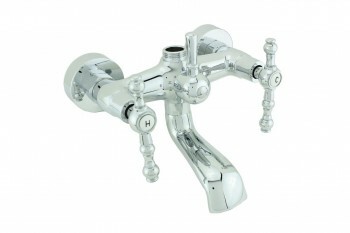 Chrome Plated Double Levers tub Faucet assembly has attachment for shower assembly. Not adjustable without couplers. Measures 6 inch on center.